How Do You Take Suboxone ? My patients ask me: how do you take suboxone ? This medication is different from other pills. The suboxone pill needs to be placed under the tongue. You then have to keep it there for about 10-15 minutes to let it dissolve. Many people report the suboxone tablet has a bitter taste. Try not to swallow any saliva or spit it out during this time. After 15 minutes, you can swallow what is left. Your stomach acid will eat up the suboxone and it won’t work if you swallow it. There are blood vessels under the tongue that will absorb the medication. When one takes this particular medication this way, it bypasses the stomach acid and works better. 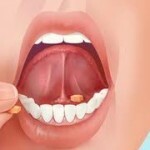 There are other medications that work this way, but the majority of pills work just find by swallowing them. Patients usually take suboxone for opioid dependence treatment. When starting suboxone for the first time, it is important to take the medication when in narcotic withdrawal. Your suboxone doctor will tell you more about this. Suboxone has another odd effect. It can both cause narcotic withdrawal and treat narcotic withdrawal. If a patient takes the medication while on another narcotic, the suboxone will push the other medication off the nerve receptors and cause narcotic withdrawal. If a patient is already in withdrawal and most of their receptors are empty from narcotics, the suboxone will fill the receptors and stop the withdrawal. Remember that the timing is important when you ask yourself how do you take suboxone . Narcotic withdrawal is very difficult. It can be so severe one rushes out to get more narcotics. This results in a feeling of failure, disappointment, and hopelessness. In the rush, it can also result in legal problems (getting caught by the law) and family problems. Addicts are willing to try anything for the next “high.” You should know that suboxone doesn’t work any better if you crush and inject the medication. Some addicts say it does, but the majority say it doesn’t. The same for snorting suboxone. In fact, if you inject or snort this medication while taking another narcotic, you will go into narcotic withdrawal. Suboxone has a third odd effect. It seems to have a “ceiling” effect. Taking a little will give an addict relief and a “buzz,” but taking more and more doesn’t get one “higher.” This is part of the reason this medication is abused less. Injecting and snorting does not get around this effect. Normally, patients are stabilized on 12 mg to 16 mg of the medication. I will start patients on 8 mg the first day and increase by 2 mg every day or two. It usually takes a one to two weeks to become stable. Most people, however, feel a good amount of relief after the first day. I have found that if someone needs more than 32 mg of suboxone per day, they probably need to go to take methadone. It can cause immediate narcotic withdrawal if you are taking another narcotic. It can cause sedation and impair driving and other complicated tasks. It can rarely cause liver problems-this has to be followed by your doctor. It causes physical dependence and cannot be stopped immediately without causing narcotic withdrawal. It can cause narcotic withdrawl in a newborn if the mother was taking suboxone. When thinking to yourself: how do you take suboxone , remember the following: Suboxone is an excellent medication for opioid dependence treatment. It has several special properties that make it unique to other medications. Because of these properties, suboxone needs to be started while in narcotic withdrawal. It is taken sublingually. It should not be injected, snorted, or taken with other sedative medications (including alcohol). It causes physical dependence and other physical concerns that require the supervision of a doctor. what happens if you take suboxone, then take oxycontin a little … – By now 196233 members shared their health and real-life experience in 190656 topics. how long do i have to wait till i can take suboxone? – Topix – 1 Joe wait till you start dry heaving and then try to wait a little longer. I was taking 12-15 a day and I waited till I was dry heaving and when I took it I start to feel even worse because the antagonist in the suboxone took over all the receptors in me that still had a little Oxycodone on them. I still had to take like three 8mg suboxone at a time for a couple of days. A question about how to take suboxone. – Drugs.com – I know that you are supposed to put the pill under your tongue let it dissolve and not to swallow it and also not to talk or do anything that produces.